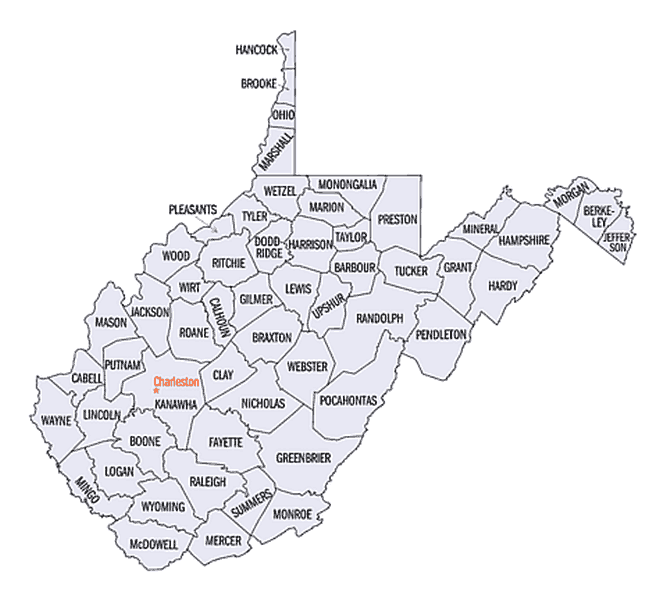 The PetNetwork West Virginia offers online pet adoption listings, free lost and found dog and cat listings, pet care information and resources for West Virginia, and South Ohio, USA. If you are looking for the Kanawha Charleston Humane Association click here. We are the Animal Control Shelter for Cabell and Wayne counties. You can see lots of dogs and cats needing homes on our Adoptable Animals list here. We receive dogs and cats every day so not all the pets are on the website. Please visit us to find a dog or cat that will suit you. Due to overwhelming numbers during the summer, not all kittens will be pictured on our web site. Please come to the shelter to see our selection of furry feline babies! If you are interested in making a donation to the shelter, there are a few things they could use. Newspapers, dry cat/dog food, towels, blankets, toys, sponges, bleach, and cat litter. Monetary donations are also welcome! If you are interested in the availability of a pet, contact the shelter directly at 696-5551. It will save so many animals for so little of your time! Thanks so much! We need local VOLUNTEERS including drivers! If you would like to volunteer in ANY way, please contact us. We need local and virtual (long distance) help! We are a high intake county shelter and need rescue help! We are NOT a no-kill shelter. Our county commission limits us to 40 dogs and 36 cats max! Without a lot of rescue help and adoptions, it is impossible for us to maintain the population at this level without euthanizing. We now have a new policy and animals can only stay in the shelter for 3 weeks. Surrendering an animal: Please visit the shelter during operating hours and speak to Betty, the shelter director, to surrender an animal. There is $10.00 fee to surrender. Please DO NOT leave animals unattended outside after business hours. We have had animals get lost, killed by vehicles, or hang themselves on leashes that were tied to the fence. PLEASE bring your animals in during our business hours 12:00pm-4:00pm Mon-Fri. Residents, if you need to surrender an animal, we also STRONGLY SUGGEST that you reach out to rescues and no-kill shelters via Petfinder for assistance in rehoming your pet. Rescues typically keep animals in foster homes rather than a shelter environment. This is a healthier environment and much less stressful for your pet than going into a crowded, noisy shelter. The shelter is a county facility and we are NOT a no-kill shelter. Our shelter is always at capacity and we need help getting our furry friends homes FAST. Our conscientious and knowledgeable staff are very helpful and strive to adopt as many animals as possible. The shelter is very rescue friendly and WILL adopt to out of state residents. Click here for more information. We are open Tues-Sun from Noon until 4pm and can even arrange evening visits if you are serious about adopting. We need all the help we can get to save as many of our beloved animals as possible. Any help will be greatly appreciated no matter how big or small. *Rescuing and fostering homeless companion animals. *Coordinating transports, from high kill shelters to safety. *Providing rescued companion animals with needed Veterinary care. *Coordinating the adoption of companion animals into permanent, loving homes. *Advocating the practice of spaying and neutering. *Advocating rescue and adoption as opposed to the purchasing and breeding of companion animals. The first step to adopt is to fill out an application form. Please understand that you may be approved to adopt but you may not be able to adopt the dog you are asking about. We try to match the personality of the animal to the requirements of the home. If you are looking for an animal that is laid back and easy going and you pick one that we know is extremely active we will not adopt that particular animal to you but rather show you other animals that have the traits you are looking for. All of our dogs are posted on our website At this time we do not have a building so our animals are in foster homes. For more informtion about the pet please e-mail the address that is on the pet's page. The large amount of animals coming into our shelter is a good enough reason to remind everyone of the importance of spaying and neutering your pet. We are in desperate need of new members. Our member numbers have dwindled lately and we are hoping for new ideas. This is a great way to add some extra curricular activities to your life and the Animals would love to have you! We are, also, always in need of dependable volunteers to perform the necessary chores of animal Call us for details at (304)366-5391 or e-mail us at admin@mchswv.org if you're interested in becoming a volunteer. All the dogs are treated with DHLPP, Bordetella and wormed upon arrival at the shelter. Take a look at the Petfinder list and then e-mail admin@mchswv.org For adoption conditions click here. How close are we to you? Click on this link and put your town and the destination in the boxes at the bottom of the page then click on the Get Directions button.